Best paper award for Nicola and Carlo! 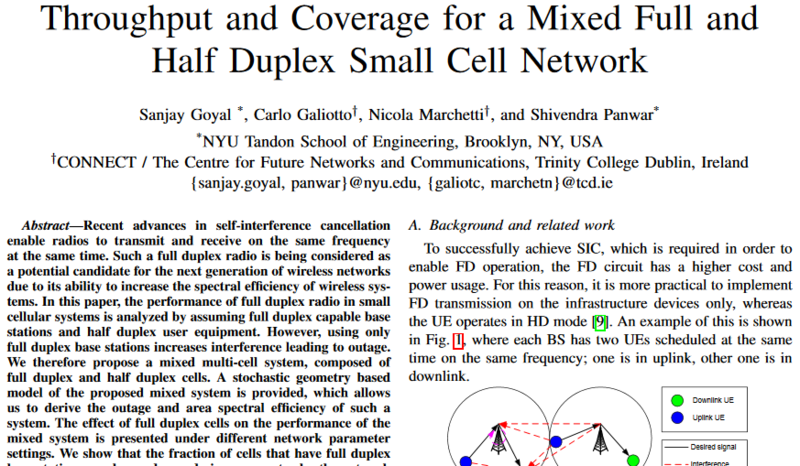 Congratulations to Connect Funded Investigator Dr Nicola Marchetti and Senior Researcher Carlo Galiotto whose paper on duplex small cell networks won Best Paper Award at the IEEE International Conference on Communications themed ‘Communications for All Things’ in Kuala Lumpur, Malaysia. Their work was also reported upon on Bloomberg and in IEEE Spectrum. The prize-winning paper was presented during the WCS Symposium and can be read here (pdf).